It's said the only thing a pulp and paper plant doesn't reuse is the "shade the building casts". The processes used in the production of pulp and paper are very efficient when you consider the reuse of energy and by-products. 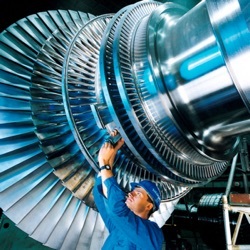 The efficiency comes at a cost though - through very hostile atmospheres and demanding operating conditions for process equipment. For example, the "kraft process" (also known as the sulfate process) is the method to convert wood chips into pulp and then to cellulose fibers. This is done by mixing the wood chips with sodium hydroxide and sodium sulphate, soaking, cooking and processing. Here's a very basic explanation of the kraft process. Wood chips are soaked and processed in sodium hydroxide and sodium sulphate mixture known as "white liquor". After the wood chips are impregnated with white liquor, they are then cooked in digesters to break the wood down into cellulose. The solid pulp is then separated and the remaining fluid is referred to as "black liquor". Black liquor is further processed to remove solids and chemicals which are to be re-used in the pulping process. One of the final by-products is "green liquor" which contains sodium carbonate and sodium sulfide and is then reacted with lime to regenerate more white liquor. 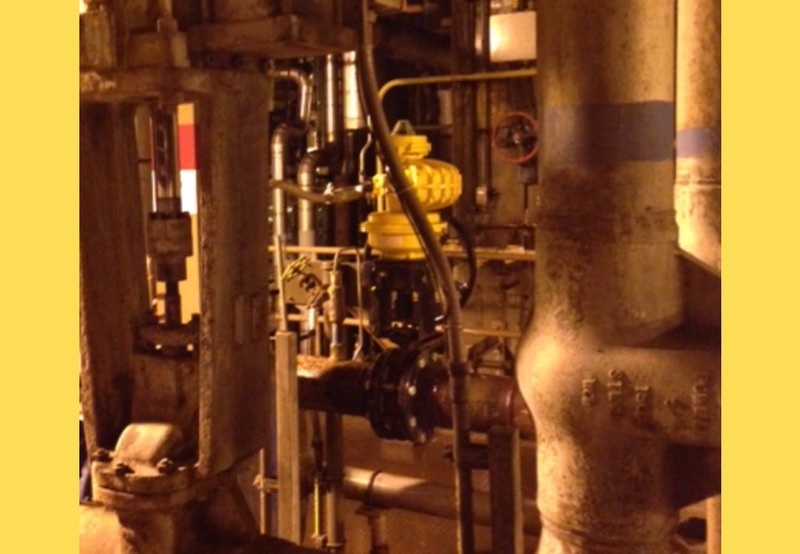 All of these steps expose process equipment, piping, and valves to very tough environments. 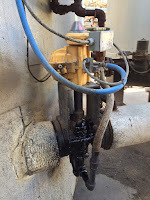 Kinetrol actuators are preferred in these situations because they don't allow corrosive atmospheres to penetrate the actuator or springs, their long cycle life, and their epoxy stove enamel finish. 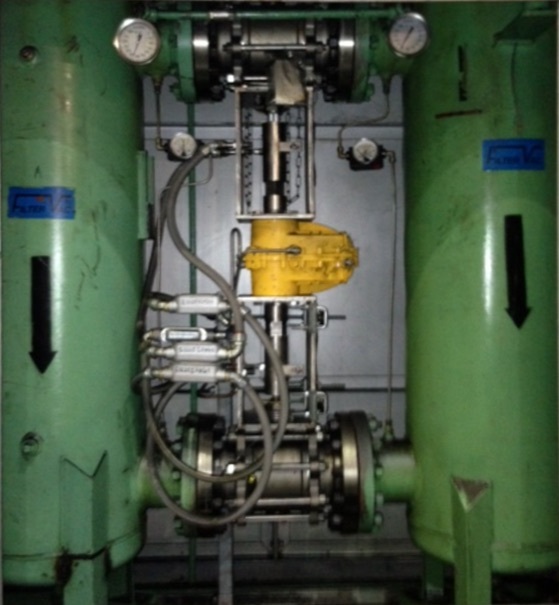 Below is a picture of a Kinetrol model 14 double acting actuator on a 8” full-port ball valve on a green liquor line. 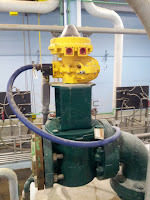 The valve cycles 2 times per day to direct green liquor flow and weak wash (weak white liquor) alternatively from one pipe to another in order to prevent solids build up in the pipelines. Compact - space saving - efficient: Best torque/size package available, fast operating speeds, best air consumption, proven design. Pneumatic damper drives significantly improve the reliability, precision, and efficiency of industrial boilers and furnaces. 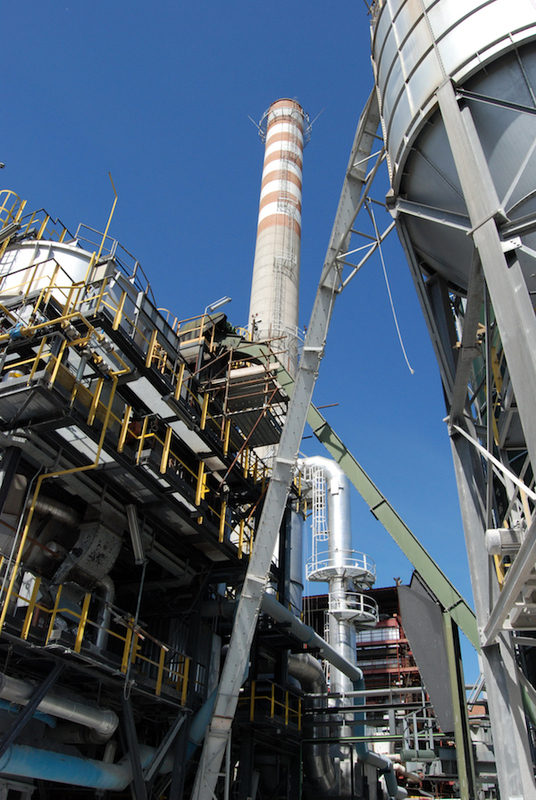 Accurate control of combustion air and flue gas provide many cost savings benefits to plant operators. 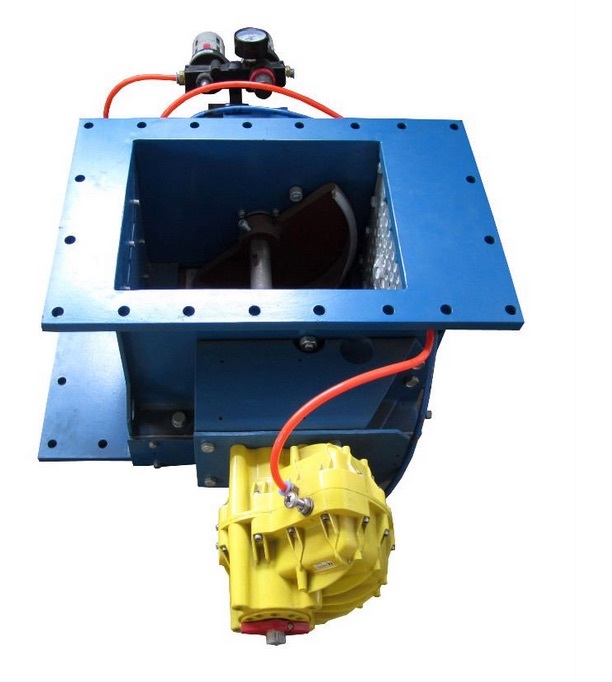 A pneumatic damper drive’s precision and rapid response greatly improve fuel efficiency, reduce emissions, lower fuel consumption, and provide better boiler draft control. Recent “Boiler MACT” (Boiler Maximum Achievable Control Technology) regulations require regular maintenance to optimize boiler performance. Air-to-fuel mixing and CO emissions are two areas where fine tuning and precise control yields dramatic improvement in burn efficiency. Old electric drives do not provide the precision, speed or torque needed for accurate control, so a retrofitting program that replaces electric drives with pneumatic units is an easy way to improve efficiency and gain better performance. 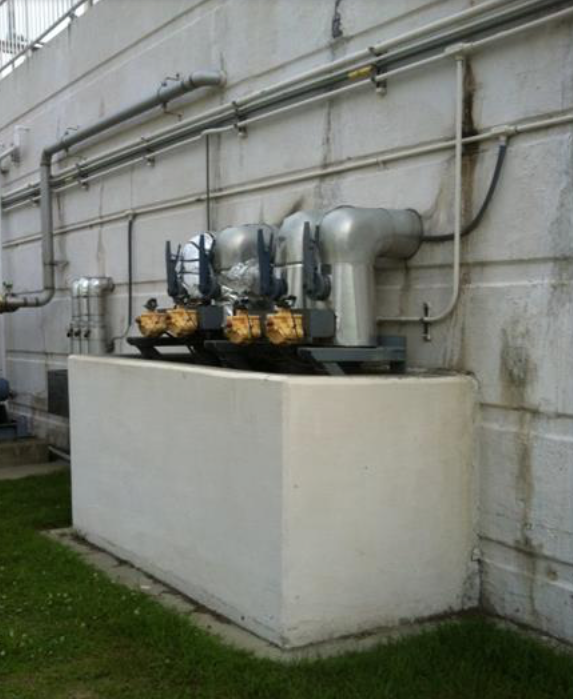 In the application outlined below, several dual-arm damper drives, using Kinetrol Model 18 actuators, were specified to replace aging Bailey electric damper drives in a power plant in the southwest USA. These specific drives are used to control the desuperheater and reheater temperature at a gas fired plant. Not only was there a need for optimized performance for better fuel consumption and lower emissions, but the customer was also very concerned about reliability. The plant needed to know the new Kinetrol-based damper drives were immediately available, and ready for drop-in replacement as the Bailey drives failed. This was easily managed by designing pedestals and frames that matched the bolting patterns and envelope size of the existing Bailey units. The Kinetrol drives were designed to match the legacy footprint exactly, have the drive shaft and drive lever in the exact position, and provide a drive shaft and lever with the same dimensions as the Bailey drive. The result is a high duty cycle, highly precise, long-life, fast acting, responsive, easily maintained, and easily automated damper drive. 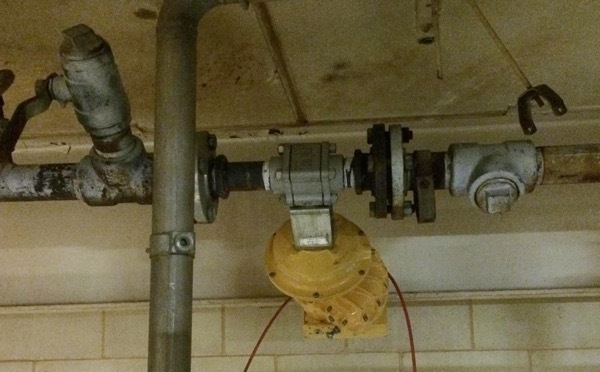 Let's assume you have an application where it's critical that a large, pneumatically actuated valve cannot be left unattended in the wrong position (opened or closed). 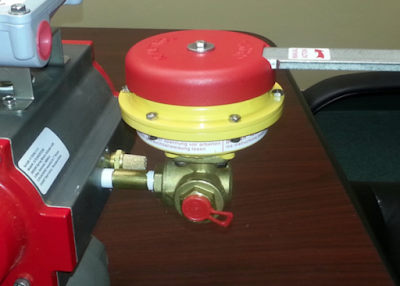 Or maybe your application requires the use of a manual operator with a fire-safe fusible link. The problem though, is the valve you want to control has torque requirements much greater than the output of any manual failsafe unit can provide. 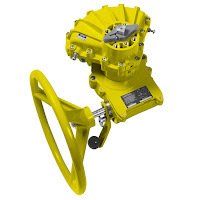 Here's an innovate and effective way to incorporate a manual failsafe unit on large size ball, butterfly, or plug valves. Retrofit your large valve with a 3-way "L" port ball valve and a manual failsafe spring handle on the large valve actuator's inlet air supply port. 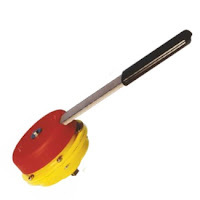 This allows the opening of the valve with the manual failsafe handle. When the handle is released, the valve shuts automatically by venting the air to atmosphere, and allowing the springs in the actuator to close the valve. Size limitations on the valves are no longer an issue, and this will work on anyone's pneumatic spring return actuator (spring return required, will not work on double acting actuators). Kinetrol vane actuator on roll lifter. There are many examples in machine design where the need for pneumatically driven, 90 ° rotation is required. One such application is a coil/roll lifting machine used to lift heavy rolls of material. The machine is pneumatically operated and provides an expandable shaft that grabs and holds on to the center hole of the roll. 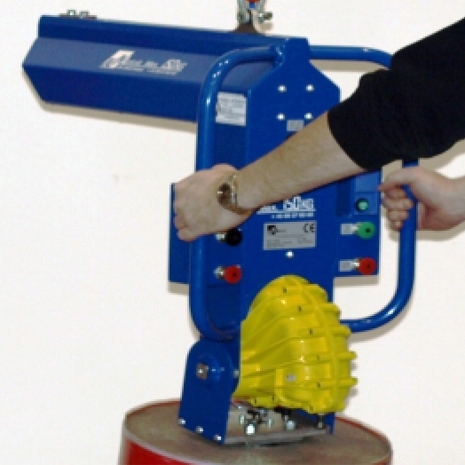 The expandable shaft also prevents spiraling while lifting. The roller can be tilted 90 ° so that it will be retrieved horizontally and vertically. A Kinetrol pneumatic vane actuator is used for the 90 ° movement because it provides very smooth rotation and has exceptional long cycle life. See the equipment in operation below. Note the function and use of the vane actuator. Thanks to the equipment manufacturer, JLM Teknik. A mechanical "soldier" busting myths. Kinetrol actuators have a great reputation in many heavy industries such as power generation, chemical processing, and pulp and paper, but here's one industry that's easy to overlook - special effects engineering for television and movie production. 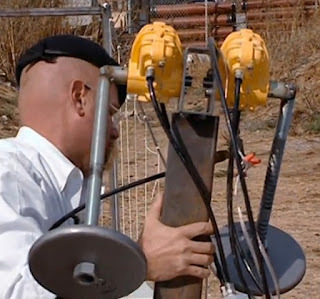 Case in point, the very popular science entertainment show "MythBusters" (produced for the Discovery Channel). 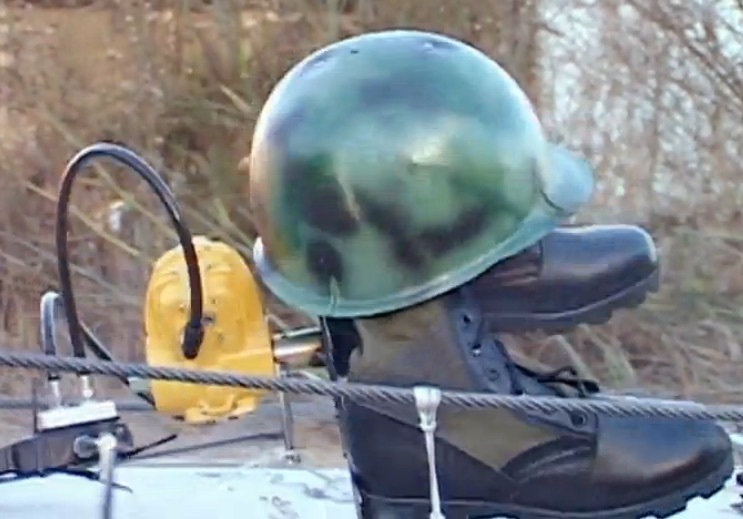 In an episode challenging the concept of destructive harmonics caused by an army marching in unison, MythBusters decided to create an "army" of mechanical feet to march in over a mock bridge. An important requirement was a mechanical rotational movement device that would allow for synchronized movement (simulating the legs of soldiers). Accurate and smooth control of multiple actuators so the cadence could be controlled was crucial. Enter Kinetrol. To see a 4 minute clip of the setup, test and results, see Kinetrol in action on the Breakstep Bridge Minimyth here. Below are some images from the broadcast. The "army" of marching feet. One of the test rigs. So you need a pneumatic actuator with more than 90 degrees of rotation - most likely for a multi-port valve, or a custom louver or damper. Here's an excellent solution. 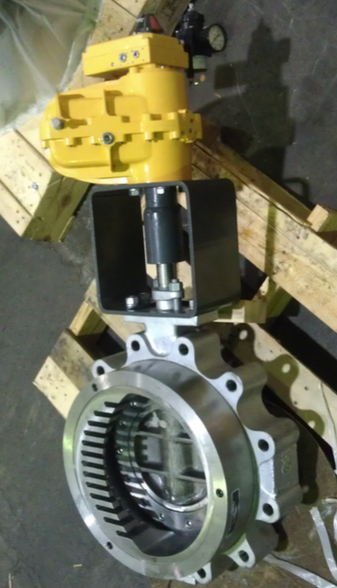 The simplicity and dependability of a 90 degree rotary vane actuator with a 2:1 step-up linkage mounted to the output shaft. Kinetrol vane actuators provide factory fitted, direct mount linkage units for their models 02, 03, 05, 07, 09, 12, 14 and 16 actuators, giving a neat single unit with no mount kits or brackets. An added benefit is the linkage’s unique geometry gives constant 2:1 step-up, so that the output torque remains constant throughout the actuator's travel. The all-steel mechanism of the linkage employs rolling contacts to minimize frictional losses and wear, and to maximize life. The linkage is lubricated for life, and encased in a robust, fully sealed die cast alloy casing. Exterior surfaces are protected by a corrosion resistant epoxy stove enamel finish. Standard adjustable end-stops on the 90 degree actuator can be used to set the angle of travel. The other end of the 90 degree actuator allows the full range of Kinetrol modular accessories to be fitted directly. 120 degree actuators are also available with adjustable end stops to give up to 133°. Kinetrol actuator on asphalt valve. 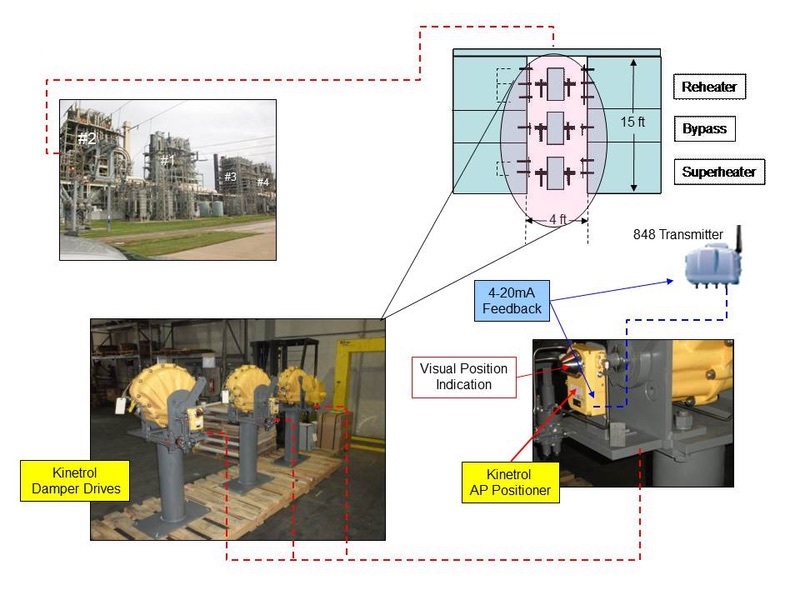 A Mid-west asphalt manufacturer purchased Kinetrol actuators for use at two of their plants as a trial for possible standardization. 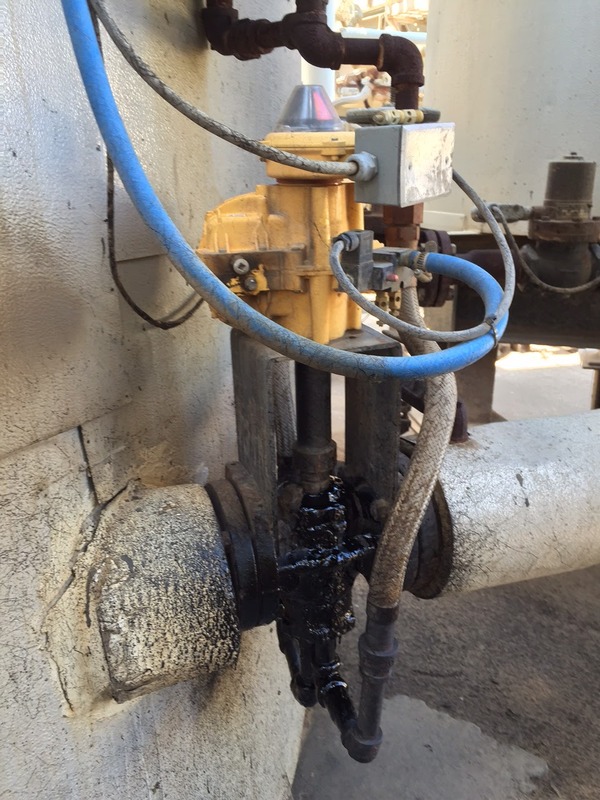 This asphalt producer owns 7 asphalt mix plants and has been plagued with failing rack and pinion actuators. 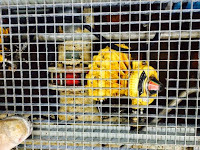 They're used to open and close their liquid asphalt valves (Homestead plug valves). The service is extremely nasty, as the asphalt is hot, sticky and gets everywhere. 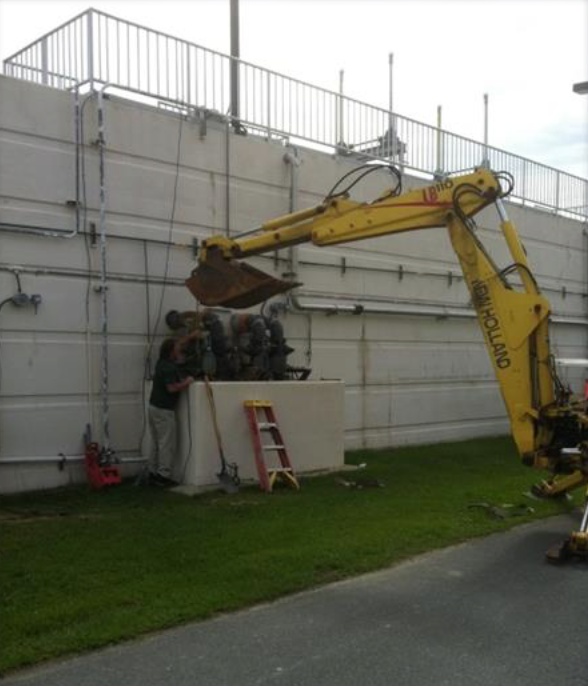 The Kinetrol actuators were installed on 3” Homestead liquid asphalt plug valves with extended brackets and couplings to prevent the actuators from seeing over-temperatures. The valves are cycled 10 times per day. Since the summer of 2014 they have installed 5 Kinetrol actuators and all are working without problems. 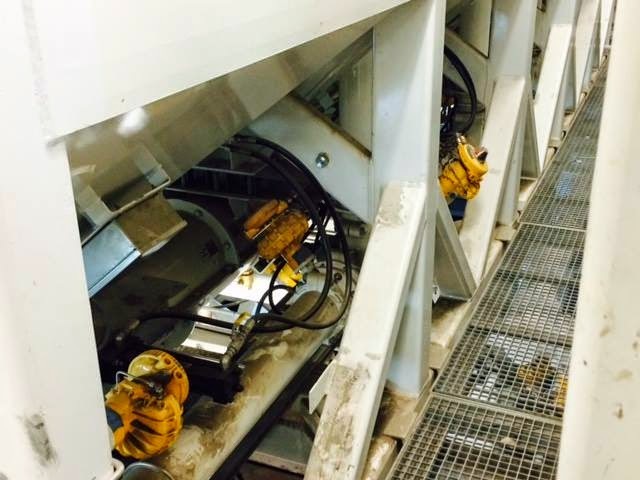 The initial results are so positive the customer plans to standardize on Kinetrol Vane Actuators, and replace the rack and pinion actuators as they fail. 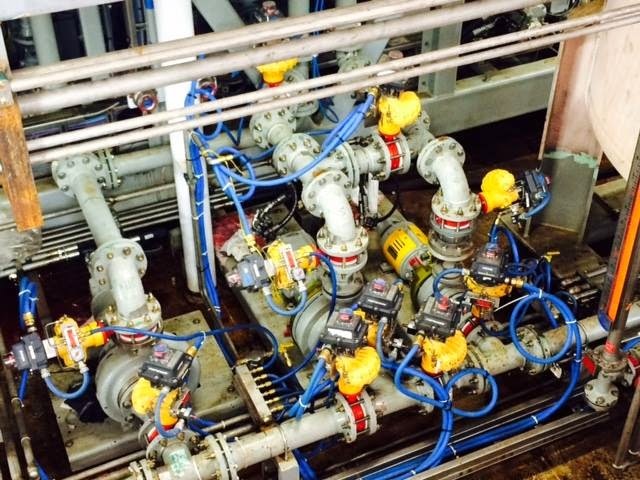 Kinetrol actuators, positioners, indicators and limit switches are the preferred valve automation products when it comes to severe service applications. One of the most challenging is bulk material handling. Used to to accurately control the flow of bulk solids as they are being discharged from silos, bins and hoppers, Kinetrol products automate the specialized gate and mixer valves, dome valves, double flap valves, pot type diverter valves, and flow control gate valves. 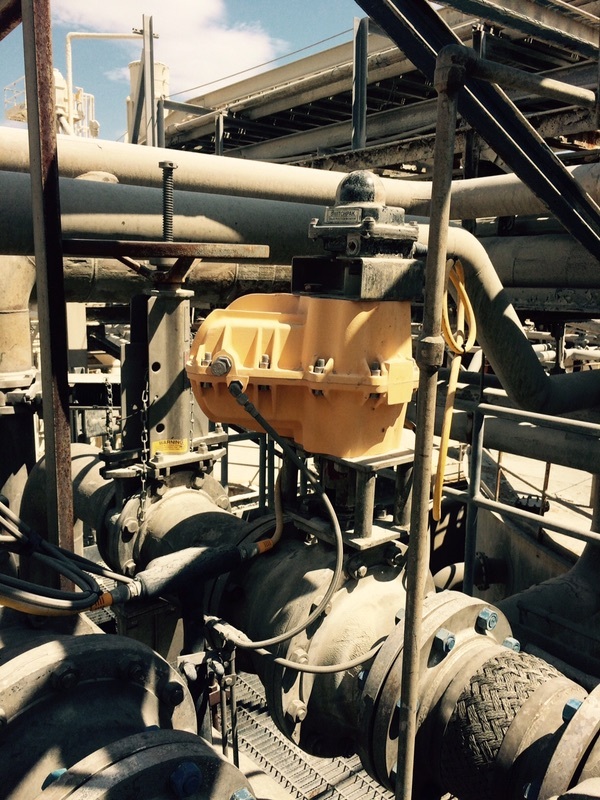 These specialty valves all have one thing in common - the actuators are exposed to extremely dusty and dirty atmospheres, with significant amounts of vibration, and are located in areas where downtime is very costly. Kinetrol vane actuators are used because of their ruggedness and their reliability. Positioners can be used to provide control via a 4-20ma input signals. Kinetrol pneumatic actuators have a much smaller footprint, smoother operation compared to more conventional linear pneumatic cylinders, and consume much less air. This results in significant savings in energy costs. This video presents a variety of bulk material valve applications Kinetrol actuators have been used on. Rotary actuators are used in a great variety of applications. There are many designs of rotary actuator, including examples actuated by hydraulic pressure, pneumatic pressure and electric drives. It is also known to use position controllers to modulate the position of the actuator. All of these various designs have in common the purpose of providing an output torque which can be utilized to drive another device or mechanism. 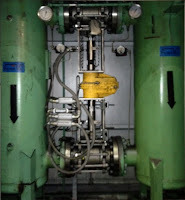 One common application for bi-directional rotary actuators is the positioning of large damper valves controlling the flow of air and other gases along ducting in power generating plants. 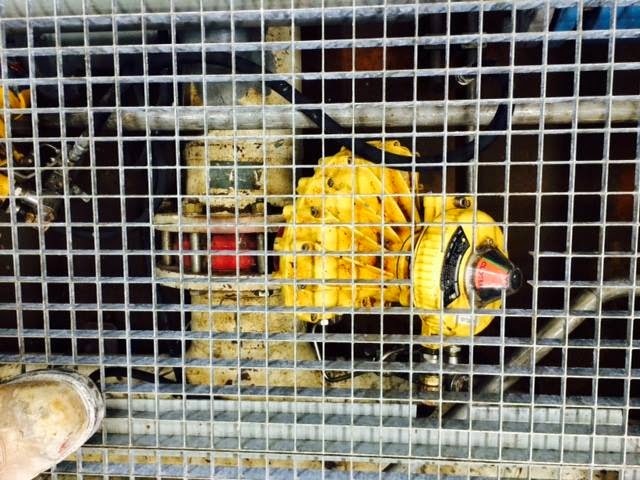 These dampers are often inaccessible, so it is not possible to install drives immediately adjacent the valve. In such circumstances, the rotary actuator drives the damper valve via a mechanical linkage. The rotary actuator will, in most cases, be used in conjunction with a position controller to provide for accurate control of the position of the damper valve. In this, and other applications of rotary actuators, it can sometimes be desirable to provide for manual adjustment of the position of the actuator, for example during the initial set-up of a mechanism, or on failure of automatic actuator function. This is generally accomplished by using a so called declutchable manual override gearbox. 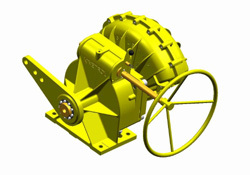 The gearbox is mounted adjacent to the actuator and is connected to the output of the actuator. Drive is transferred via the gearbox to a drive shaft connected to the gearbox output. 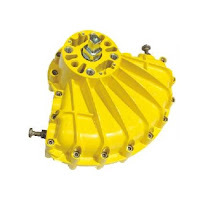 The gearbox includes a manually operable override, typically a wheel or lever, selectively engageable with the drive train in the gearbox. In normal operation, this manual override is de-clutched from the drive train. However, if it is desired to manually adjust the position of the actuator and the mechanism it drives, the manual override can be engaged. High above the cheese factory floor, mounted to a 1-1/2 steam supply pipe is a lonely V-ported ball valve with a Kinetrol 097-120 actuator, spring unit, and positioner. The valve is controlling 180 PSIG steam at 375 Deg. F. with the ambient air surrounding the actuator, positioner and spring unit at a constant 135 deg. F.
Its a tough application, and critical to keep running. 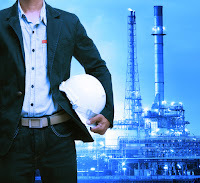 Losing steam supply is very costly because of production losses and access to the valve is difficult. 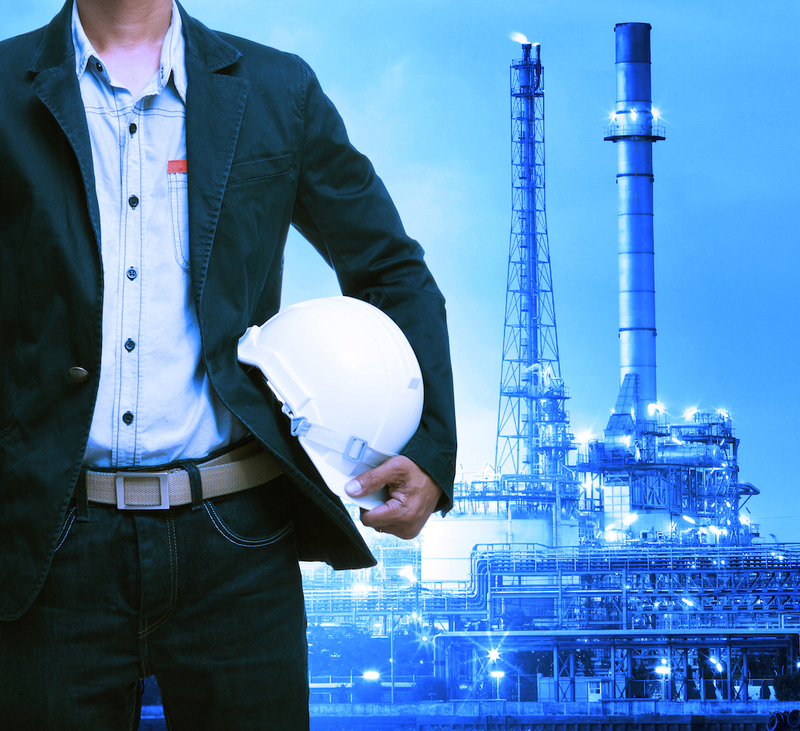 The plant maintenance people tried a few of the more well-known valve/actuator packages without success. These packages would last a few weeks (a couple months at best), before failing. Frustrated and out of answers, the maintenance crew turned to a local Kinetrol Distributor salesperson for advice. Knowing Kinetrol actuators, spring units and positioners are designed for the toughest applications, the salesperson specified the 097-120 on top of a Triad v-ported ball valve. Hopeful, but with little optimism, the maintenance crew installed the 1-1/2 control valve on the steam line and fired the system up. For 11 months now (without any downtime), 24 hours a day, this lonely control valve, powered by a Kinetrol positioner and vane actuator, accurately throttles the steam supply and reliably keeps the cheese process line running. or discrete mounting via an industry standard VDI/VDE interface onto any make of rotary actuator. Easy to wire and set up with real industrial-quality robustness. - Internally fitted options include AS interface digital communication and a 4-20 mA 2-wire modulating angle retransmit circuit. Kinetrol pneumatic vane actuators are world-renowned for their high cycle rate, durability, sealed spring unit, and precise control. 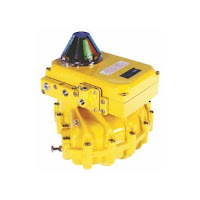 Kinetrol provides a rugged, corrosion-resistant pneumatic vane actuator with only a single moving part. This simple and innovative design provides a highly accurate and extremely reliable actuator for operating valves, drives and dampers, and is perfectly suited for the most demanding process control control applications. The Kinetrol vane actuator is warranted to operate trouble-free for 4,000,000 (million) cycles. The EL electropneumatic positioner combines the precision and adaptability of a digital electronic control circuit with the smoothness and efficiency of Kinetrol's proven proportional servo valve, to give the best available 4-20mA positioning performance from rotary pneumatic actuators. This unbeatable performance is combined with the easiest available setup procedure, easiest access to all functions and options, easy connectibility, and a truly compact all-metal enclosure, plus unique easy-set isolated angle retransmit and limit switch options inside the same enclosure. Quick calibration via push buttons and LED feedback and easy reversal of rotation sense (clockwise/counter clockwise) without special tools or parts change. The unit can be mounted in any orientation on to any quarter turn or linear application by connection via a NAMUR or Kinetrol square interface. No separate power needed, just a 4-20mA signal plus air supply. Threaded conduit entries or DIN plugs for external connection. 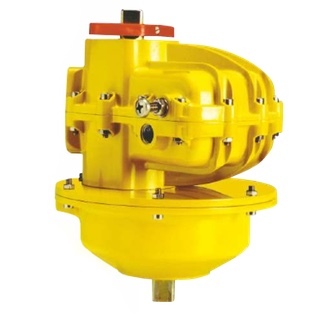 The "vane type" pneumatic valve actuator is well regarded for its simplicity in design and extremely long life, even in the toughest valve actuation applications. The heart of this simple design, and the primary reason for such long life, is the "single moving part" - a one-piece shaft and vane that moves in response to the air pressure differential on either side of the vane. A rotary vane actuator has no gears or yokes which will wear and cause problems over time. Wear, movement slop, and internal corrosion are the most typical modes of failure for rack and pinion and scotch yoke actuators. The video below illustrate the elegance and simplicity of the rotary vane actuator and its "single moving part". Besides pneumatic valve actuation, Kinetrol vane actuators are used widely on controlling industrial and commercial louvers and dampers. The video below gives you a short visual demo of a louver being opened, closed and positioned with a Kinetrol vane actuator and electro-pneumatic positioner. Louvers and dampers are used to stop or regulate the flow of air inside a duct, chimney, air handler, or other air handling equipment. for Kinetrol actuators and accessories. 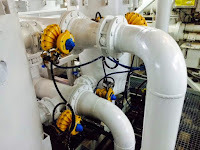 Offshore oil rigs present some special challenges to pneumatic actuator manufacturers. First, the corrosive marine environment takes a harsh toll on the internal and external parts of a typical actuator. Rack and pinion actuators are particularly susceptible. Because rotary vane actuators, (such as Kinetrol) or their spring units, don't "breathe" ambient air, they have great immunity to internal corrosion. Also, a very durable, epoxy enamel finish and stainless steel hardware provide maximum external protection. Ideal for corrosive, marine installation. Another challenge for offshore use is the very limited space available. Facilitation of large scotch yoke actuators, is quite difficult. Actuators such as Kinetrol's compact vane design with integral direct-mount limit switch make it a perfect choice in applications where space is at a premium. In these cramped and below grating installations you want the long maintenance-free life that you can install with confidence for years of service. Long life where access is a problem. One moving part. Simple. Elegant. According to Wikipedia, elegance is "a synonym for beauty that has come to acquire the additional connotations of unusual effectiveness and simplicity." In engineering terms, "a solution may be considered elegant if it uses a non-obvious method to produce a solution which is highly effective and simple. " When you compare the mechanics of various other pneumatic valve actuators, such as rack and pinion or scotch yoke with their internal gears, bushings and bearings, you immediately understand that simplicity is sacrificed and the design is certainly not elegant. When gears mesh, there is friction. Friction causes heat and wear, which effects the mechanical life of the actuator. Friction converts kinetic energy into thermal energy and can have dramatic consequences if left unchecked. Another important consequence of friction is wear, which may lead to performance degradation and/or damage to the internal components of a rack and pinion or scotch yoke actuator. "Fretting wear" is caused by the repeated cyclical rubbing between two surfaces (gears in the case of scotch yoke or rack and pinion actuators) and over a period of time, will remove material from one or both surfaces. Backlash happens when gears change direction. It is caused by the gap between the trailing face of the driving tooth and the leading face of the tooth behind it. The gap must be closed before force can be transferred in the new direction, hence the phenomena of backlash. This is also sometimes referred to as "slop". A well designed vane actuator uses a single piece of machined steel for both the vane body and drive shafts. With this design, the shaft and vane are not affected by backlash, friction or wear. The following video demonstrates the Kinetrol Model 20, double acting, pneumatic vane actuator as it closes a large butterfly valve. 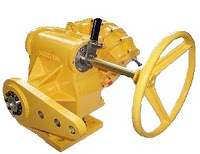 The Model 20 actuator is capable of delivering 89,000 inch pounds of torque at 80 PSI. The unit you see below is equipped with a dual coil, 4-way solenoid valve to control air flow to either side of the actuator, as well as control the opening / closing time. The actuator below also is equipped with a Kinetrol Universal Limit Switch with visual indication and internal electrical contacts. Sludge blowdown valves are used in water and wastewater treatment systems that separate solids prior to filtration. 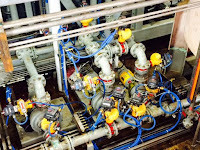 They are typically plug valves with double acting pneumatic actuators that operate on a controlled time frequency. The frequency depends on the amount of solids in the media and cycle times of every 20 minutes are common. The pneumatic actuators that are supplied with the original equipment have been known, in some cases, to have a short performance life due to the cycle frequency and environment. 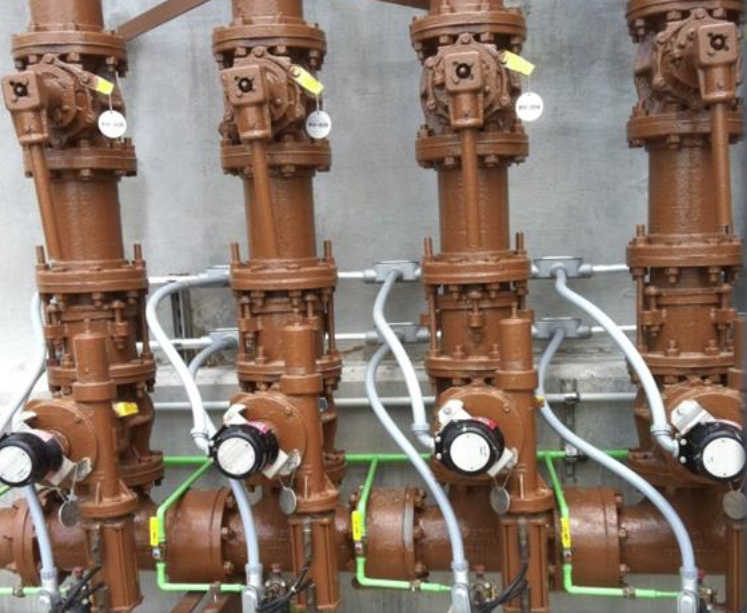 Some end users have experienced the original actuators failing in 3 - 4 months. Customers who have upgraded to Kinetrol actuators have experienced performance lives of over 5 times this and still counting. New Compact and highly reliable Kinetrol install. Getting ready to remove old actuators. We'll be using this site as a place to educate people about the advantages of rotary vane actuators and showcase interesting and unique applications. We'll try to post as often as possible and keep the site fresh. Please check back frequently.